Abidjan, 14 September 2018: – Cote d’Ivoire can greatly increase the benefits accruing to it from trade with other African countries and transform the West Africa region by increasing its sourcing of raw and industrial materials from Africa to feed into its burgeoning light manufacturing sector, a high-level panel discussion in Abidjan has recommended. The panel, featuring former Nigerian President Olusegun Obasanjo; Jean Louis Ekra, former President of the African Export-Import Bank (Afreximbank); Dr. Vaflahi Meite, Executive Director, General Confederation of Enterprises of Côte d’Ivoire; and Dr. George Elombi, Executive Vice President, Governance, Legal and Corporate Services, Afreximbank, was organised on 6 September by Afreximbank as part of a stakeholder engagement event to promote the Intra-African Trade Fair (IATF) scheduled to take place in Cairo from 11 to 17 December. The panellists highlighted the need for Cote d’Ivoire to build up its capacity in ago-processing around edible oils in order to improve its trade capacity. Held under the theme, “Strategy to deepen Cote d’Ivoire–Africa Trade”, the panel discussion looked at the key issues that need to be addressed in order to increase Cote d’Ivoire-Africa trade. Declaring the session open, Alain-Richard Donwahi, Minister of Water and Forest of Cote d’Ivoire, who stood in for Souleymane Diarassouba, the Minister of Trade, Industry and Promotion of SMEs, expressed appreciation to Afreximbank for its work in support of expansion of African trade and for organising the IATF. The minister announced that Cote D’Ivoire would take a country pavilion at the IATF to showcase its trade, investment, tourism and cultural opportunities and requested that the country be considered to host of the second edition of the IATF. Kanayo Awani, Managing Director of the Intra- African Trade Initiative at Afreximbank, told the audience that the IATF would support the emergence of a vibrant private sector that would lead the process of structural transformation of the African and Ivorian economies. Also speaking, Mr. Ekra explained that the IATF would gather over 1,000 exhibitors and more than 70,000 visitors, made up of buyers and sellers from African and non-African countries, and would result in the conclusion of approximatively $25 billion in trade deals. 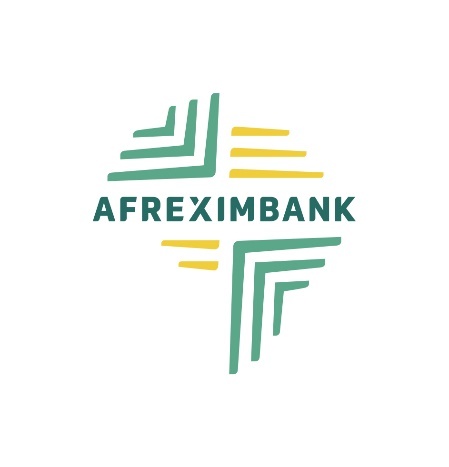 He stated that Afreximbank was developing a trade information portal, which would include a digital trade fair, that will allow buyers and sellers that are unable to travel to Cairo to connect online and participate in the IATF. That portal will remain active after the physical would have concluded. The session was attended by 223 participants from the public and private sectors of the francophone West African countries. The IATF, organised by Afreximbank, in collaboration with the African Union, and hosted by the Government of Egypt, is scheduled to take place at the Egypt International Exhibition Centre in Cairo and will provide a platform for sharing trade, investment and market information. It will enable buyers and sellers, investors and countries to meet, discuss and conclude business deals and will also provide an opportunity for exhibitors to showcase their goods and services and engage in business-to-business exchanges. The IATF is the first trade fair of its kind in Africa and has the Africa Trade Policy Centre, Afrochampions Initiative; International Trade Centre; Pan African Chamber of Commerce and Industry, International Trade Centre, Miami Trade Centre; Ecport Development Authority, International Islamic Trade Finance Corporation; and the Egyptian Ministry of Trade and Industry as partners.